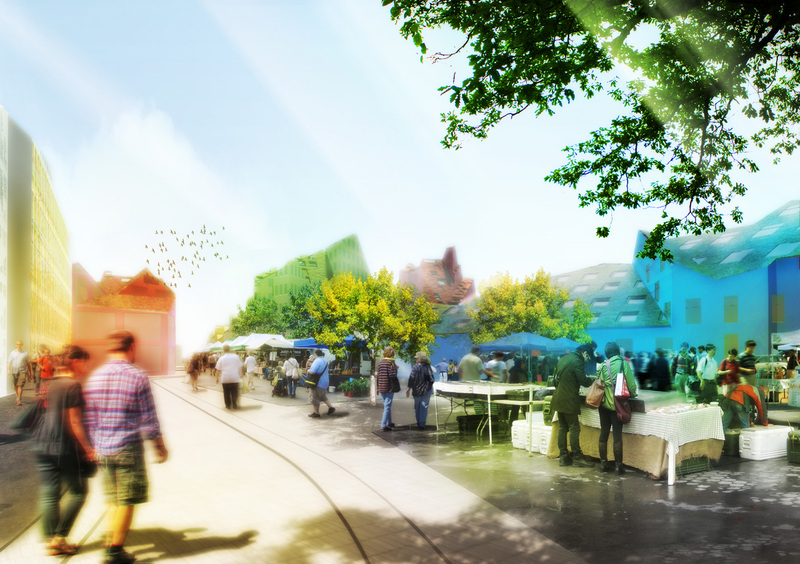 The Urban Community of Bordeaux (CUB) and MVRDV present the master plan for Bastide Niel, a 35ha extension of Bordeaux’ city centre onto the right bank of Garonne River. The dense urban master plan will offer 3200 homes, offices and urban amenities, respect the existing fabric of the city and become one of the largest zero energy neighbourhoods in the world. 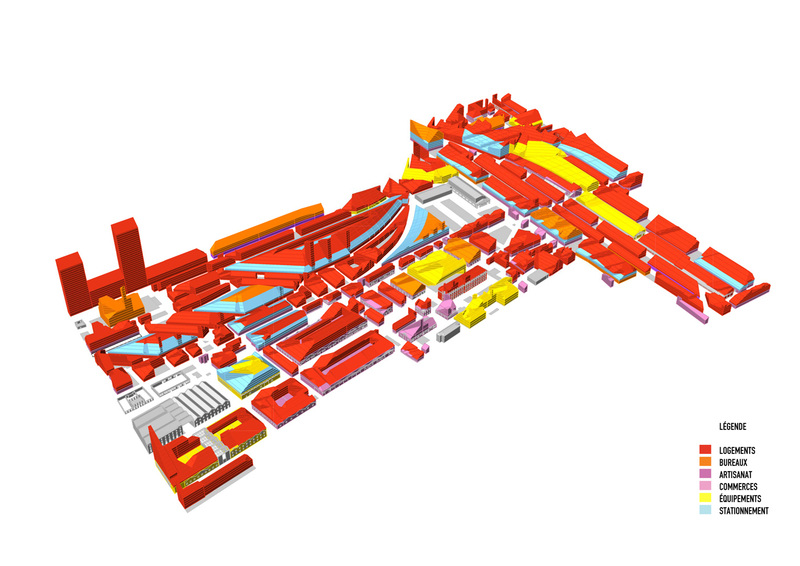 The project Bastide Niel, with an envisioned urban program of up to 375.000m2 is regarded the most significant contemporary urban intervention in Bordeaux. 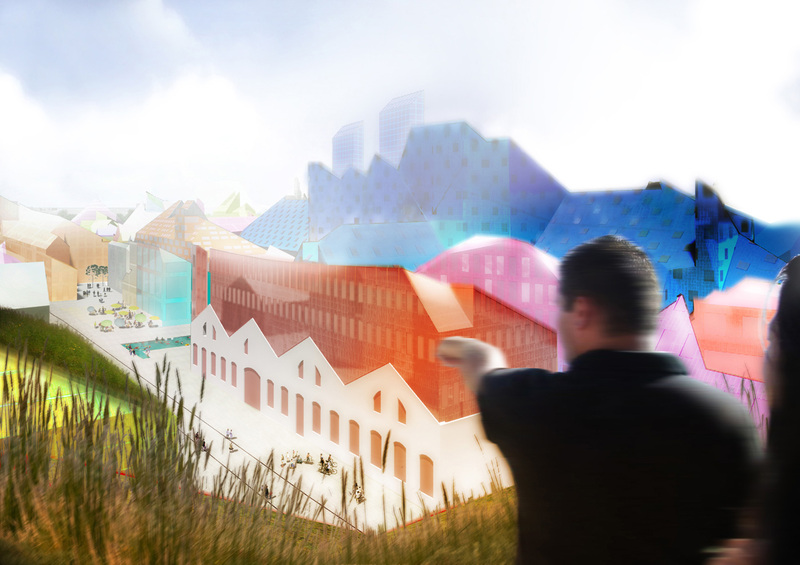 But the character of the new neighbourhood will be intimate: a ‘capillary city’: A contemporary update of the European city: Combining history, human scale and individualism with density and sustainability. Construction is to start in 2014. 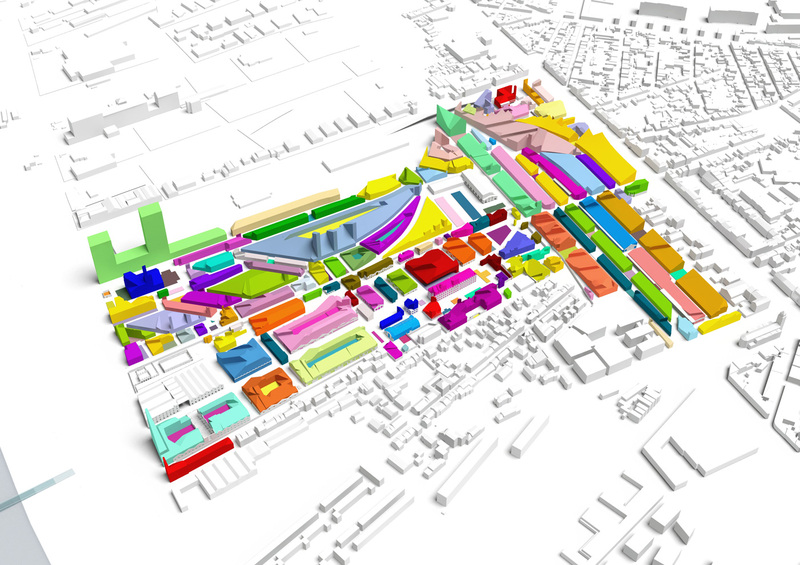 Bastide Niel will become a lively extension to the city centre with a mixed program of 3200 homes, 25.000 m2 retail , 25.000 m2 offices, 15.000 m2 crafts and 58.000 m2 public facilities such as a university building, the municipal archives, a cultural building, a community centre, schools, day care centres and sport facilities, such as a skate park. The 35ha site near the Garonne River lies within walking distance from the historic UNESCO listed centre of Bordeaux and is currently occupied by warehouses, redundant barracks and rail embankments. The question was how to create a vibrant neighbourhood in tradition of but as well as an update of the European city: historic, mixed and intimate; light, green and dense. The existing historic structures have served as basis for the master plan which follows the rail tracks and the lay-out of the barracks. All historic structures, railways, and platforms will be maintained and maximally densified, this new interpretation of the history makes the existing an active part and starting point for the new. Around these artefacts a network of 6 to 10 meter narrow streets is created leading to a safe traffic system with equal rights for cars, public transport, bikes and pedestrians. Most streets are one-way, serviced from the riverside or from the opposite avenue, whilst the tramway will be safely isolated on a special lane. 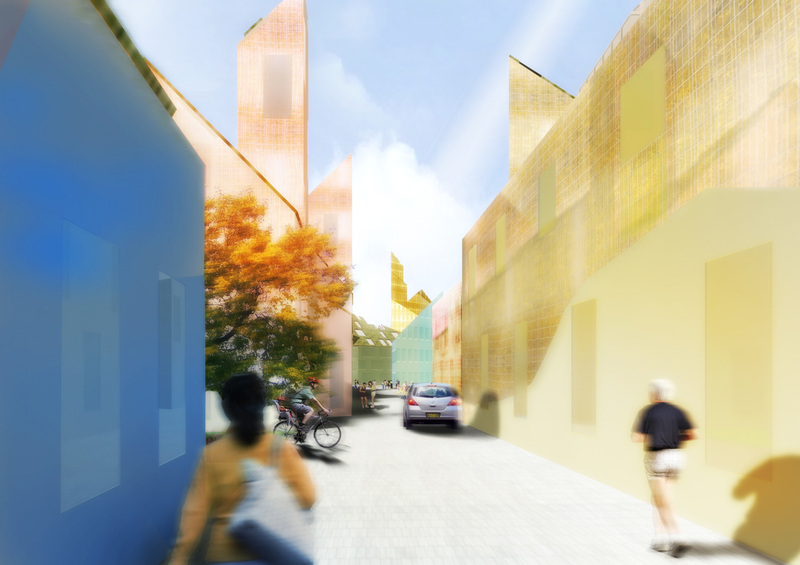 This road, alley and lane network results in an intimate, capillary city with 144 city blocks. 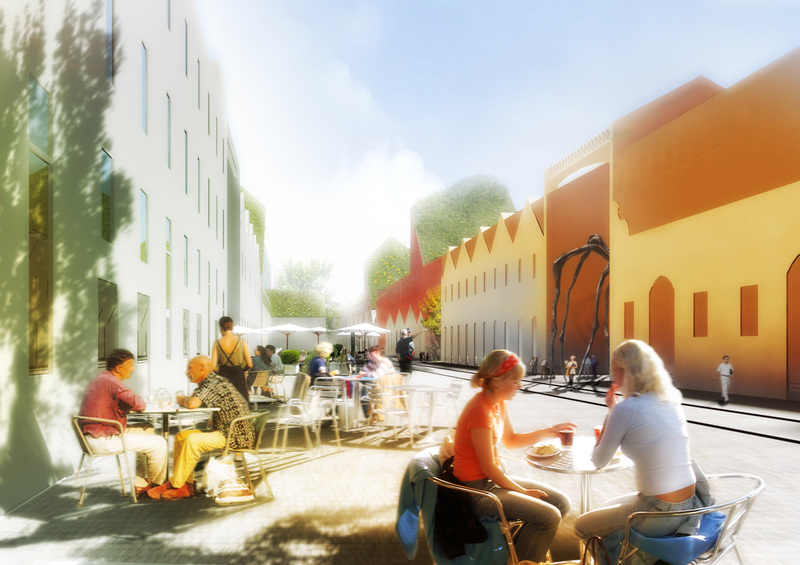 Inhabitants will live in an urban environment comparable to a historic city centre. The envelopes developed by strictly applied light rules allow flexibility: ground floors may accommodate either residences, offices or shops. In-between and inside the blocks is space for small parks, pocket gardens and squares which add additional green to the large riverside Parc aux Angéliques designed by Michel Desvignes. Due to the vicinity of the river, parking will be solved above ground level. 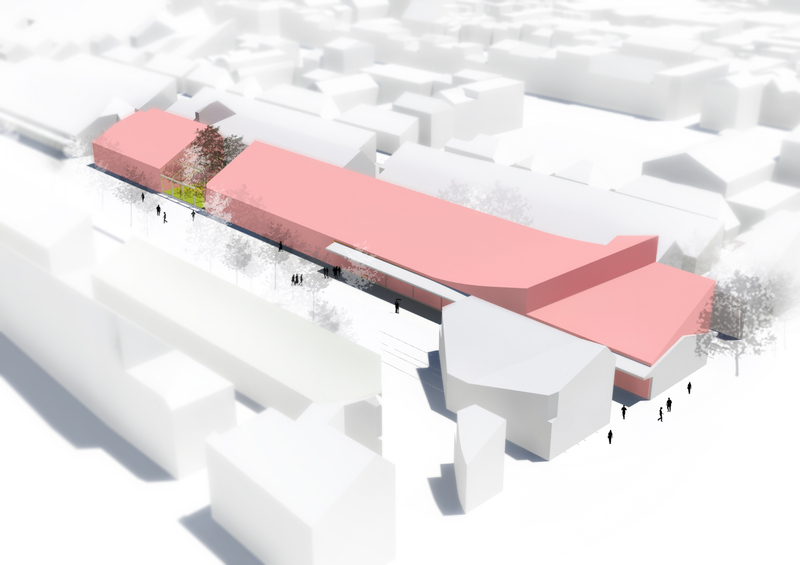 The plan suggests research into a UNESCO-friendly pedestrian glass bridge following the former main axis of the barracks, Allée cavalière. To achieve rich architectural variety the 144 blocks will be commissioned to 144 different architecture offices, an alternative IBA emerges. 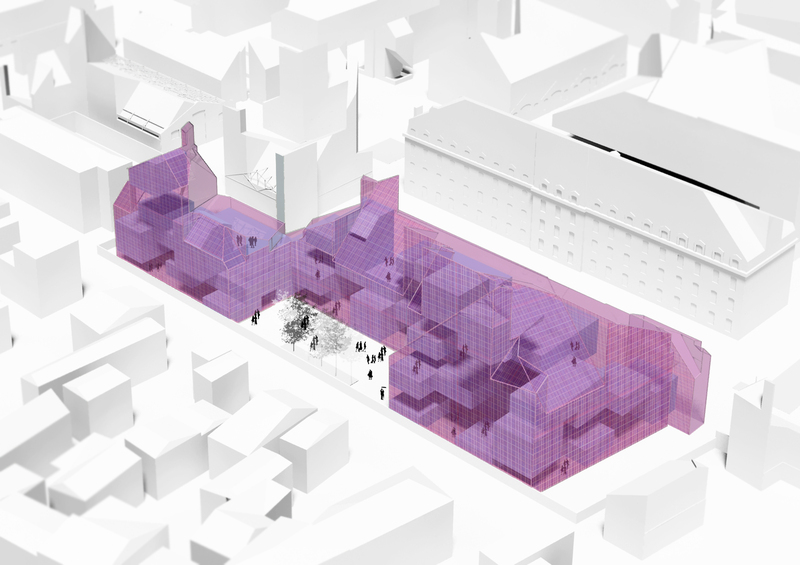 The existing buildings on site, among them the former Caserne Niel will be preserved, transformed or extended and become part of the neighbourhood. 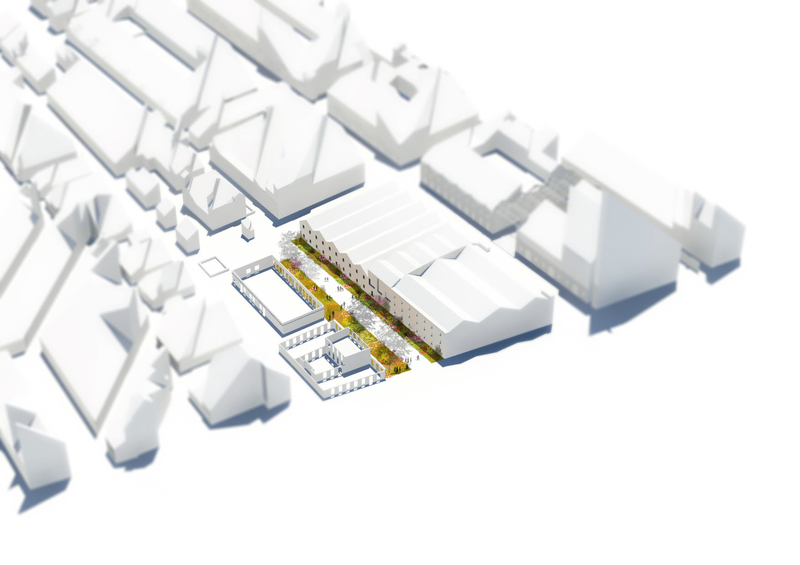 The immediate neighbours have been engaged in a public participation process, this resulted among others in collective responsibility for communal gardens and a respectful small scale neighbourhood adjacent to the existing homes at Rue Hortense. The zero energy ambition is reached through a series of interventions: A geothermal installation will pump up heat from 1 km depth. On the roofs and south facades of the buildings solar panels will be placed to produce electricity. 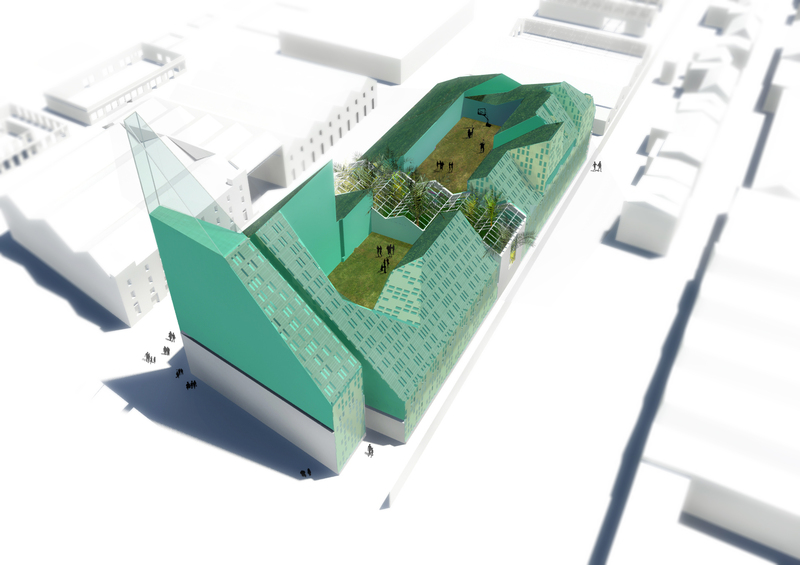 The roof height allows each building to receive sun light at ground level whilst the volumes are restricted to 15 meters depth allowing natural ventilation from two sides. Based on these roof parameters a contemporary European city roofscape emerges. 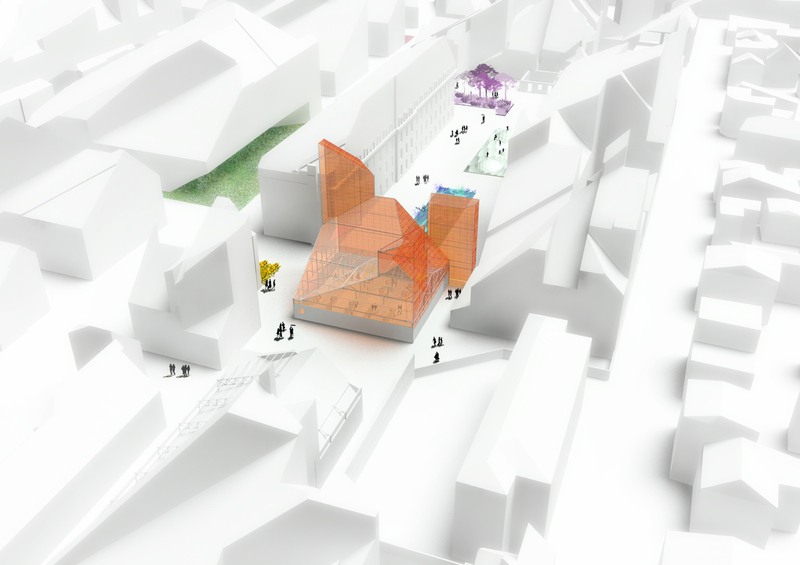 In 2014 the project will start with pilot projects including the cultural building, a mix use city block, a restaurant and the first gardens conceived in public participation. The former rail embankments will be temporarily used as orchard to grow trees for the neighbourhood. The development is divided into 6 phases. The project is commissioned by the Urban Community of Bordeaux (CUB) and is executed by MVRDV heading a team comprising of Arcadis France (traffic, engineering), Oasiis (sustainability), Davis Langdon (economy) and Territoires (landscape). 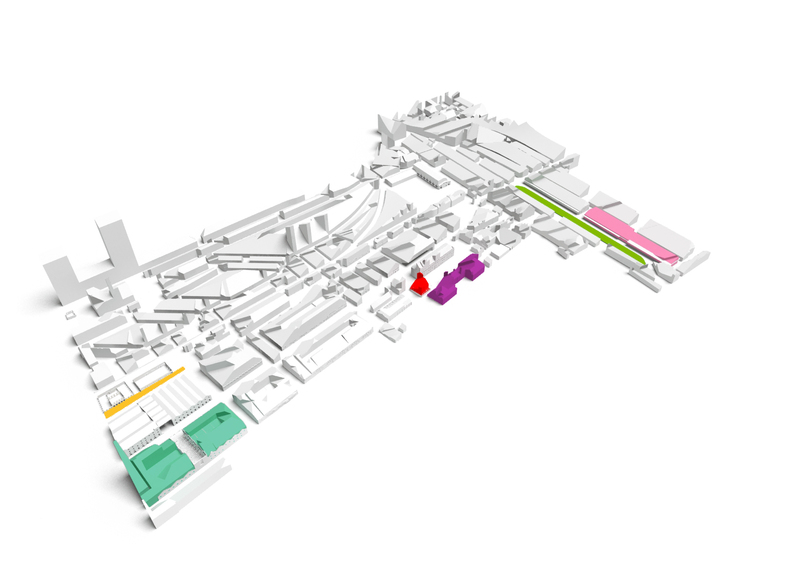 MVRDV works in France on a range of projects, such as the vision for Grand Paris commissioned by President Sarkozy, the port refurbishment of Caen in Normandy, the Teletech centre in Dijon and an energy efficient office building in Paris, ZAC Gare de Rungis. Exactly a year ago in Lyon the mixed-use project Le Monolithe was completed.